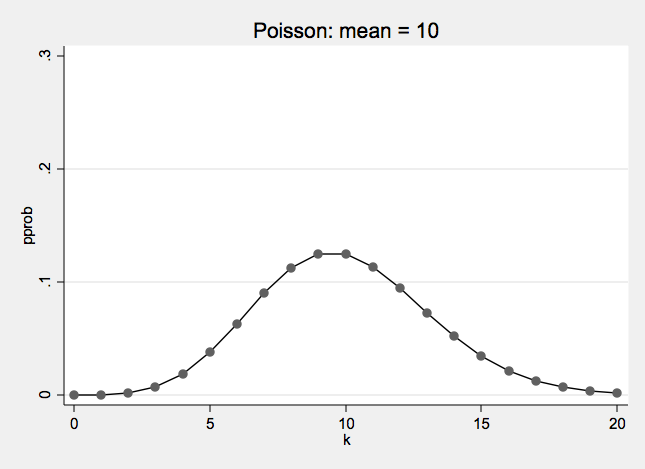 Likelihood function for the Poisson model. 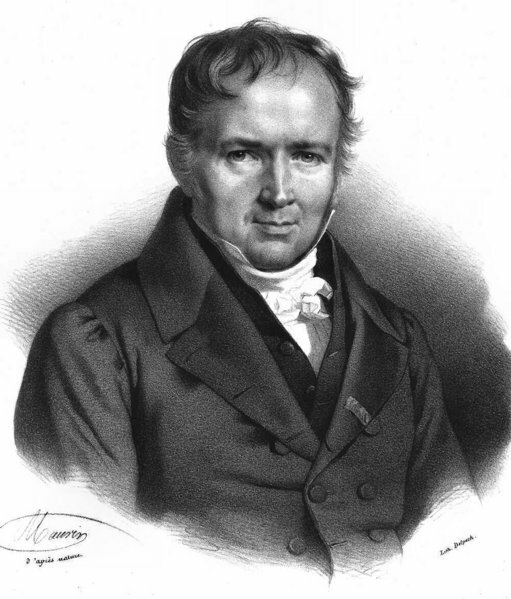 The Poisson distribution was first published by Siméon-Denis Poisson in 1838. There is a famous example from a 1898 book by Ladislaus von Bortkiewicz showing that the number of soldiers killed by mule-kicks each year in the Prussian cavalry followed a Poisson distribution. The title of the book was The Law of Small Numbers. 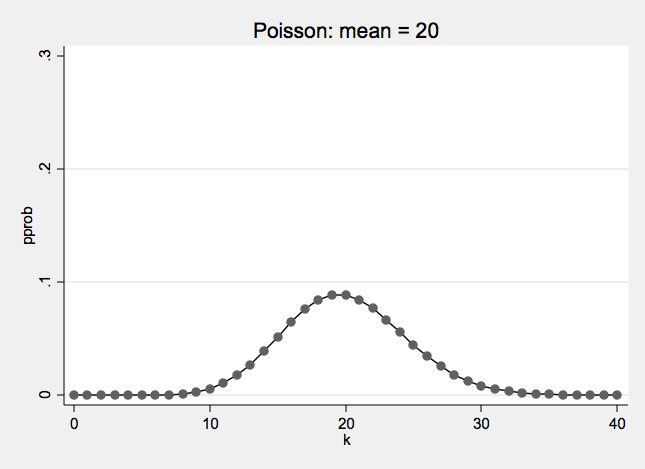 As a comparison, here is a normal distribution with the same mean and variance as the Poisson distribution above. 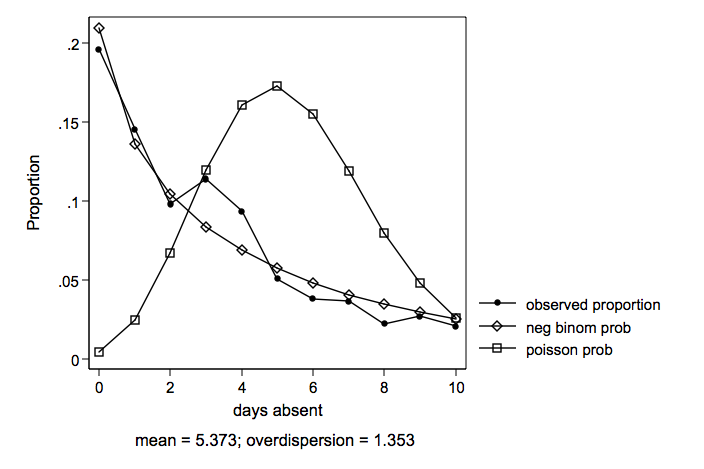 Negative Binomial Distribution One formulation of the negative binomial distribution can be used to model count data with over-dispersion. 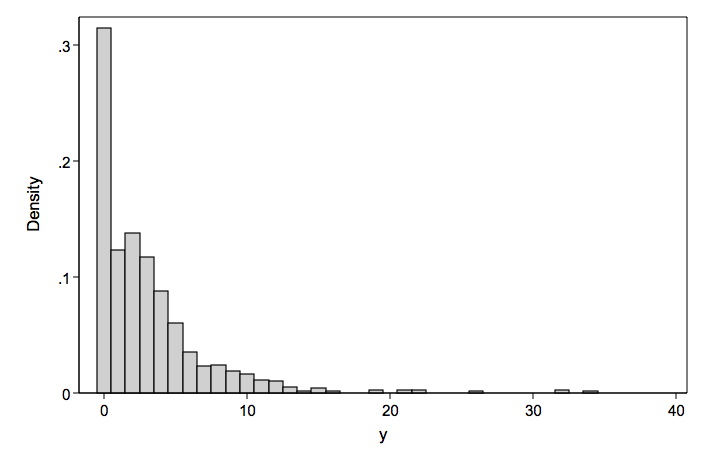 Likelihood function for the negative binomial model. Computationally, the log of the likelihood function is easier to work with. Analysis proceeds iteratively until the log likelihood converges. Schwartz’ Bayesian information criterion = -2*ln(L)+k*ln(n). Given any two estimated models, the model with the lower value of BIC is the one to be preferred. Can be used to compare different models, even models that are non-nested. 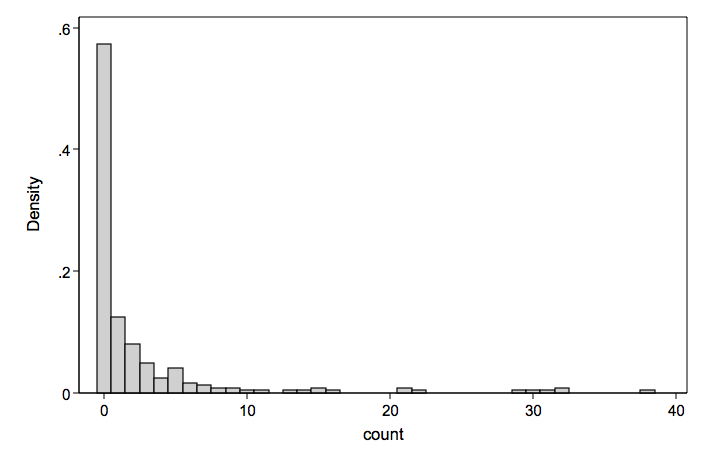 The small sample behavior of ML estimators for count models is largely unknown. It is risky to use ML with samples smaller than 100. Samples over 500 seem adequate. Count models need some sort of mechanism to deal with the fact that counts can be made over different observation periods. For example, the number of accidents are recorded for 50 different intersections. However, the number of vehicles that pass through the intersections can vary greatly. Fifteen accidents for 30,000 vehicles is very different from 15 accidents for 1,500 vehicles. Count models account for these differences by including the log of the exposure variable in model with coefficient constrained to be one. The use of exposure is superior in many instances to analyzing rates as response variables because it makes use of the correct probability distributions. It should be noted that exposure is used to adjust counts on the response variable and that it is possible to various kinds of rates, indexes or per capita measures as predictors. The response variable is the number of deaths recorded at each of five different age-group and two smoker categories. The difference in the number of patient years will be accounted for with an exposure variable pyears. Below, note that rows 1 and 10 have almost identical numbers of deaths but have very different values for patient years. The predictor variables are four age-group dummy variables and a dummy variable to indicate smokers. These data can be analyzed with either a Poisson regression model or a negative binomial regression model. There is not much difference between the two models based on the log-likelihood and the BIC but the Poisson model has a slightly better BIC. Zero-inflated models attempt to account for excess zeros, i.e., there is thought to be two kinds of zeros, “true zeros” and excess zeros. Zero-inflated models estimate two equations, one for the count model and one for the excess zero’s. 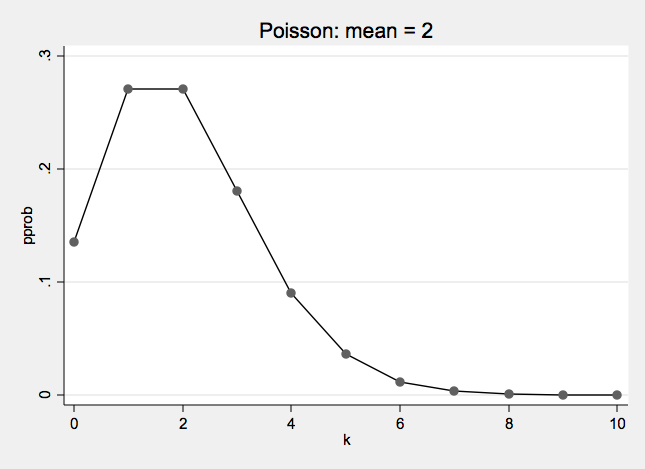 Somehow, it seems very appropriate to discuss fish and Poisson in the same example. In our example “true zeros” are obtained from people who fish but do not catch anything. The excess zeros come from those who do not fish at all. Separate equations are used to predict each kind of zero. We will look at two count models and two zero-inflated models and an OLS regression for comparison. 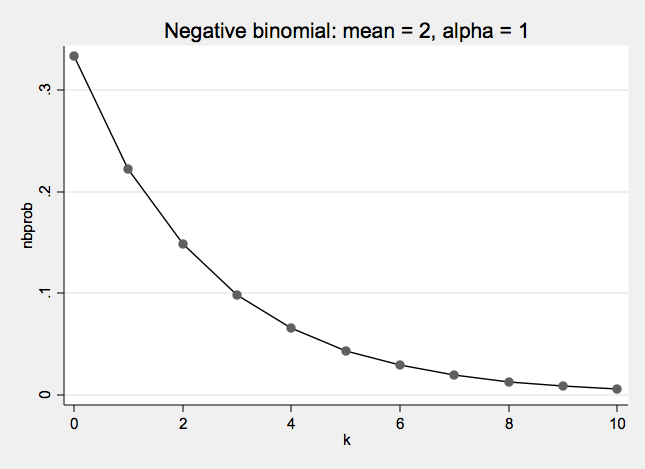 The results for the zero-inflated negative binomial are given below. Note this model is only marginally better than the ordinary negative binomial model and the Vuong test is not significant but the data were clearly generated by a process that leads to inflated zeros. 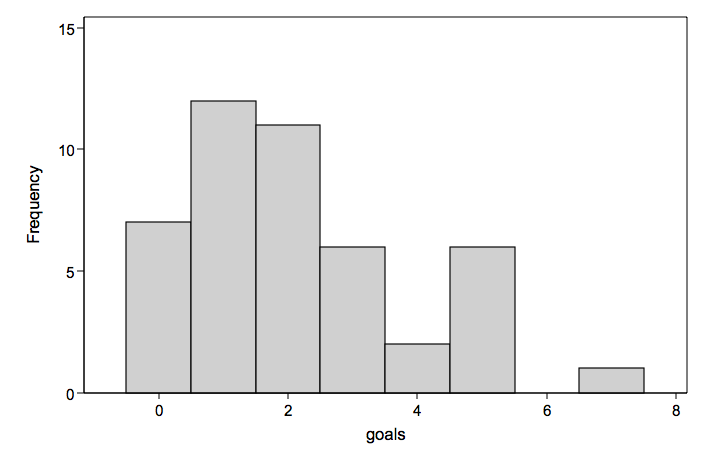 Here are the results from the several of the other models that we can look at the differences in the output. Predictors of the count variable are female, school and reading. Several variables were tried as predictors of excess zeros for zero-inflated models. The large number of zeros in the data might seem to suggest some type of zero-inflated model. However, the zero-inflated models were not used for both empirical reasons and because there did not seem to be a reasonable way explain what kind of a process would generate excess zeros in days absent. 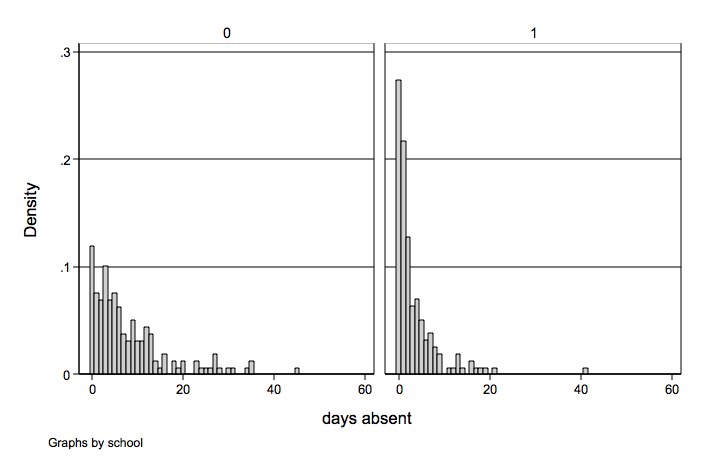 Histogram of days absent by school. We will look at five different models, two count models, two zero-inflated count model and an ols regression thrown in for good measure. 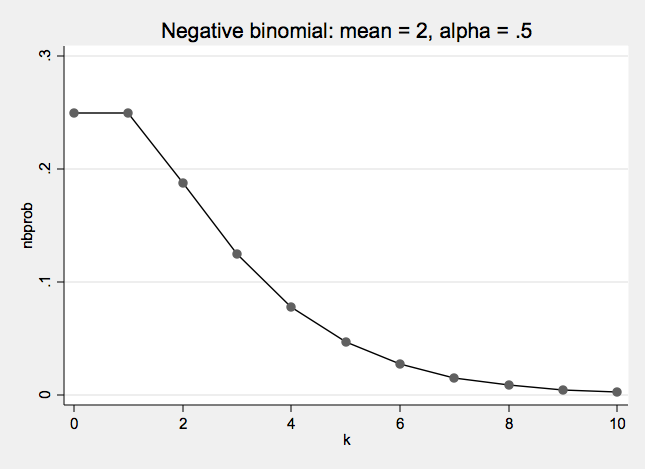 Both the negative binomial and the zero-inflated negative binomial are very close in log likelihoods and BIC’s, there’s a slight edge to the straight negative binomial due to having fewer degrees of freedom. There are a number of interesting situations in which the count variable cannot take on the value zero. 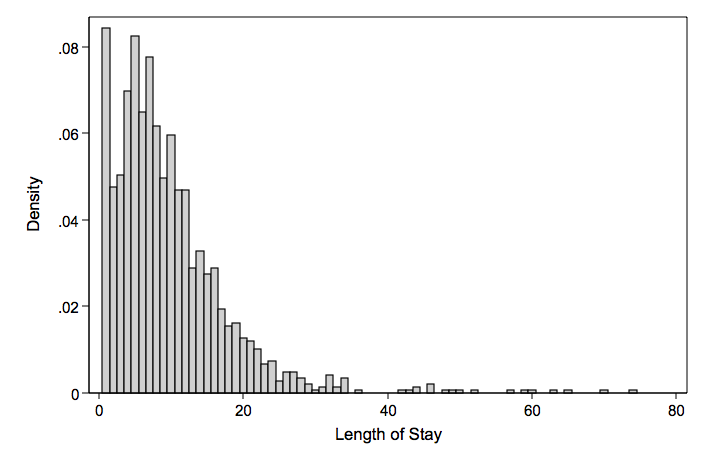 Take for example the response variable length of hospital stay (mean = 5.37 variance = 49.24). The predictor variables are age, hmo and died (died before discharge). Note that there are no zero counts in the data. 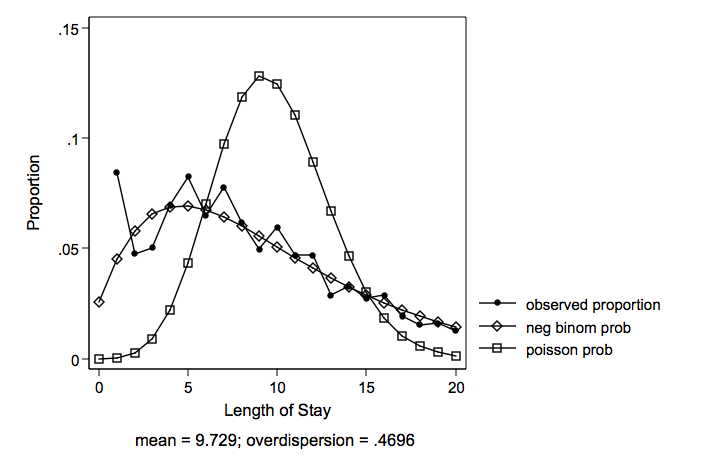 Note that both Poisson and negative binomial predict a probability for zero length of hospital stay. The negative binomial provides a closer fit to the observed than does the Poisson. The results for the zero-truncated negative binomial are given below. A hurdle model is a modified count model in which there are two processes, one generating the zeros and one generating the positive values. The two models are not constrained to be the same. The concept underlying the hurdle model is that a binomial probability model governs the binary outcome of whether a count variable has a zero or a positive value. If the value is positive, the “hurdle is crossed,” and the conditional distribution of the positive values is governed by a zero-truncated count model. 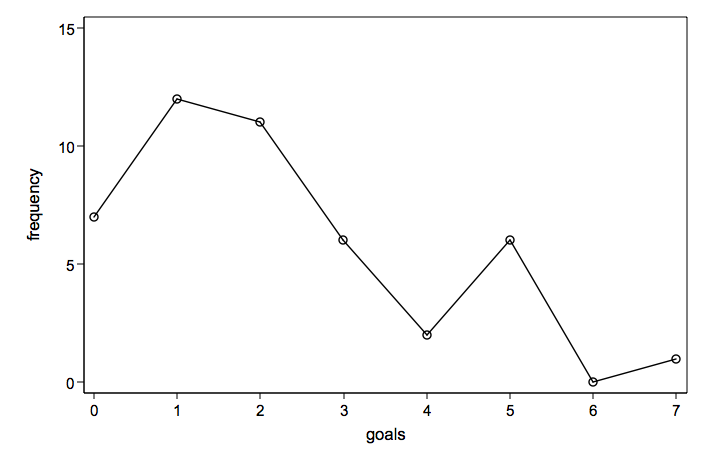 We will illustrate this model using artificially generated data with response variable y and predictors x1 and x2. Since the count part of the model was generated using a random Poisson generator, we will look at three different Poisson based models. 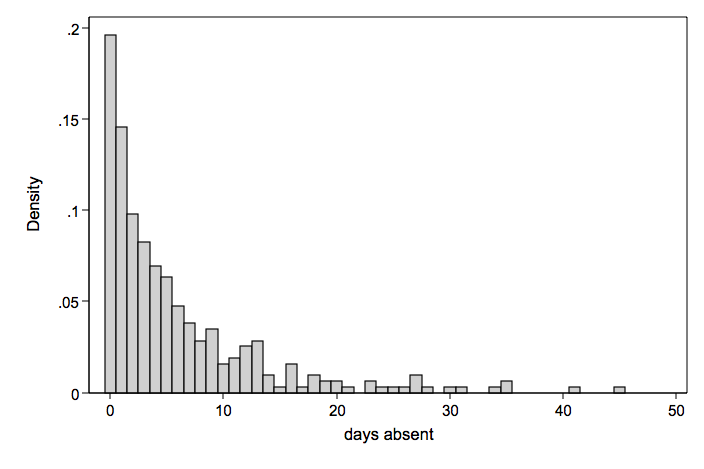 We will take another look at days absent (mean = 5.37 variance = 49.24), this time obtained from 12 schools with about 50 students per school. The predictors are gender and reading. Any count model will need to account for the lack of independence within schools. We have a number of options for analyzing these data. We can use standard poisson with cluster robust standard errors to account for within school association. 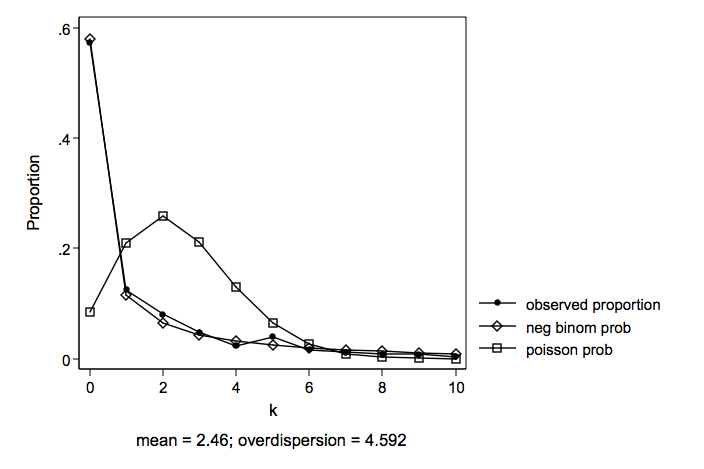 Or we can use one of the random-effects models for poisson or negative binomial. These are random intercept only models. 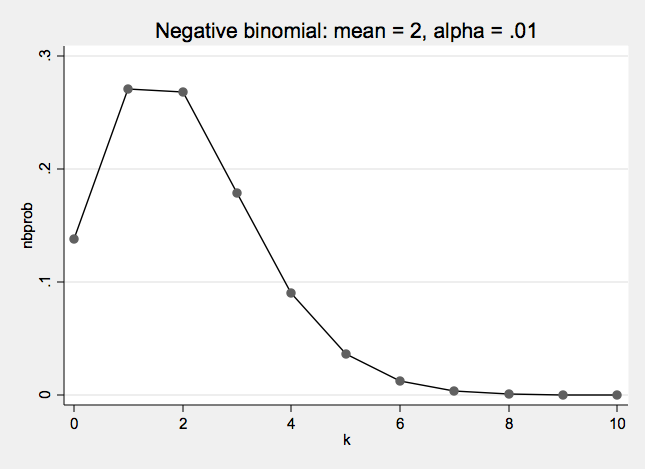 The random-effects negative binomial has the best log likelihood and BIC. The results of the model are given below. 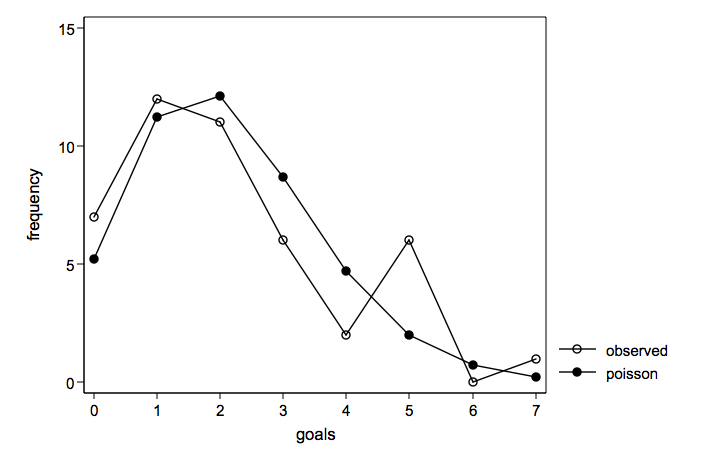 References Here are some places to read more about regression models with count data. Agresti, A. (1996) An Introduction to Categorical Data Analysis. New York: Wiley. Long, S. J. (1997) Regression Models for Categorical and Limited Dependent Variables. Thousand Oaks, CA: SAGE Publications, Inc.
Long, S. J. & Freese, J. 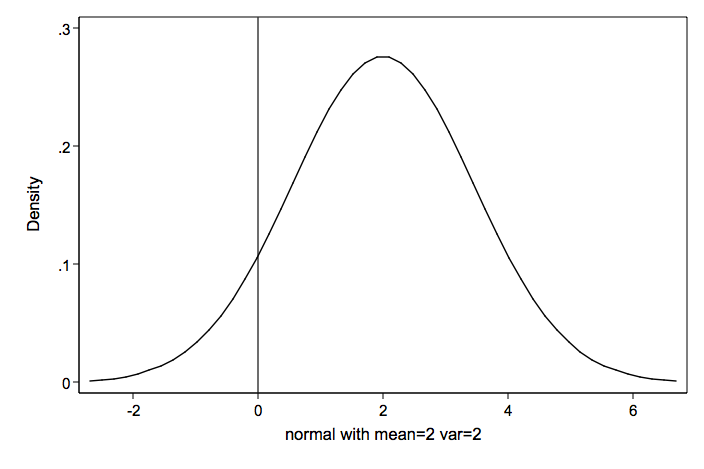 (2001) Regression Models for Categorical Dependent Variables using Stata. College Station, TX: Stata Press.